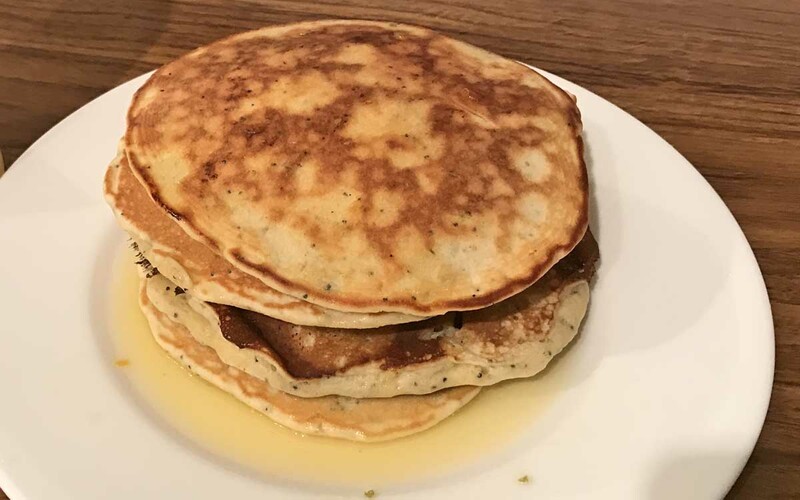 It’s Pancake Day tomorrow, and we’re serving up three easy to follow recipes – check out our orange and cardamom pancakes, and blueberry pancake recipes for more inspiration. 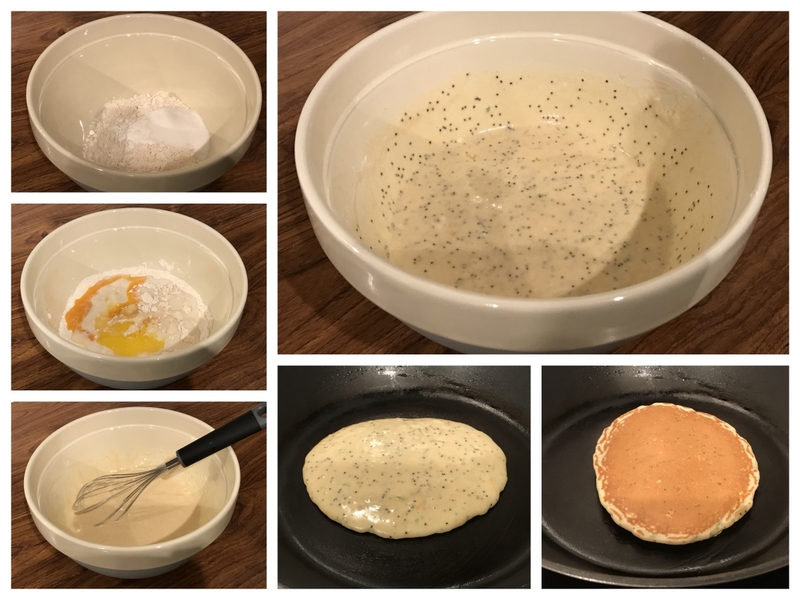 Our final recipe of the day is this zesty, lemon, lime and poppy seed pancake recipe. We have served these pancakes with a zingy lemon, lime and elderflower syrup. Check it out below. Add the flour, baking powder, salt and sugar to a large bowl and mix together. To this dry mix add the milk, beaten egg and melted butter and mix through until well combined. To the mix add the zest of the lemon and lime, and add the poppy seeds. Stir through and get ready to cook the pancakes. Place a large frying pan over a low heat and grease lightly with butter. Using a ladle, pour a spoonful of the batter into the pan and cook for 1-2 minutes until bubbles appear on the surface. Flip the pancake over and continue to cook for a further minute until golden. Repeat this process with the rest of the batter. While your pancakes are cooking, move on to making the syrup. Add the juice of the lemon and lime to a saucepan on a low-medium heat. Add a squeeze of honey, a splash of water and the elderflower cordial to the juice and stir. Simmer for a couple of minutes until the liquid reduces slightly. This is a very zingy syrup so use sparingly. Stack the pancakes and pour a little of the syrup over them. Serve with a dollop of fresh cream or natural yoghurt. Check out the steps in the video below. WHAT’S YOUR PANCAKE OF CHOICE ON PANCAKE DAY? Are you a sweet or savoury fan when it comes to pancakes on pancake day? 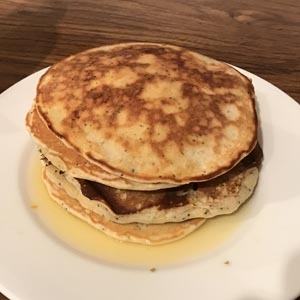 Share your favourite pancake recipes and combinations with us by commenting below, or connecting with us on Facebook, Twitter and Instagram.